A quite symmetrical double zig zag rally into the high labeled W-X-Y, which included a series of three-wave moves (A-B-C). We have a quadruple top at 1.3360-63 level. Momentum is turning down. Relative strength in CAD versus AUD and NZD of late. Looking for a test of the 200-day moving average back towar 1.3100…If this is the high, first fib support from the B-Wave low at 1.2778 comes in at 1.3326. Some help from oil would be nice. 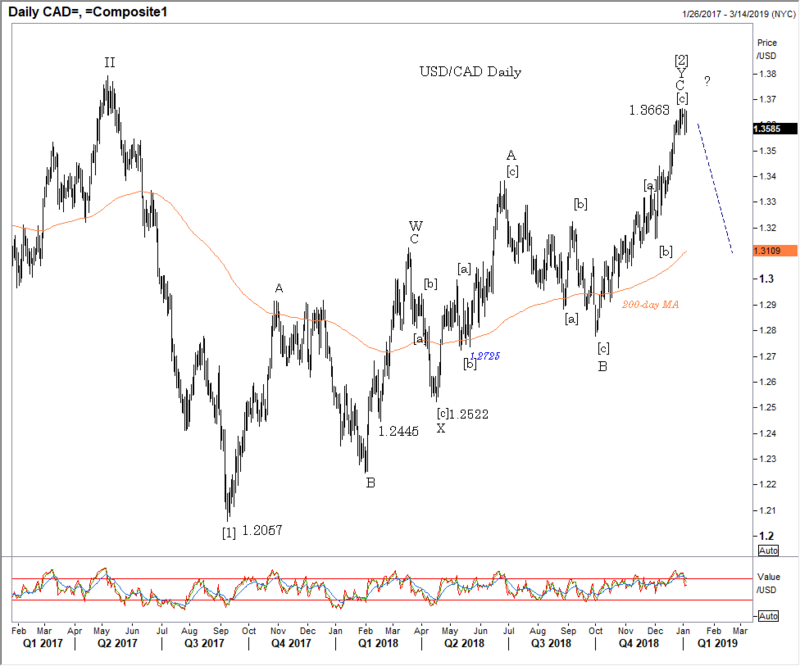 Older PostUSD/CAD Weekly: Rally into an equality target. The top?